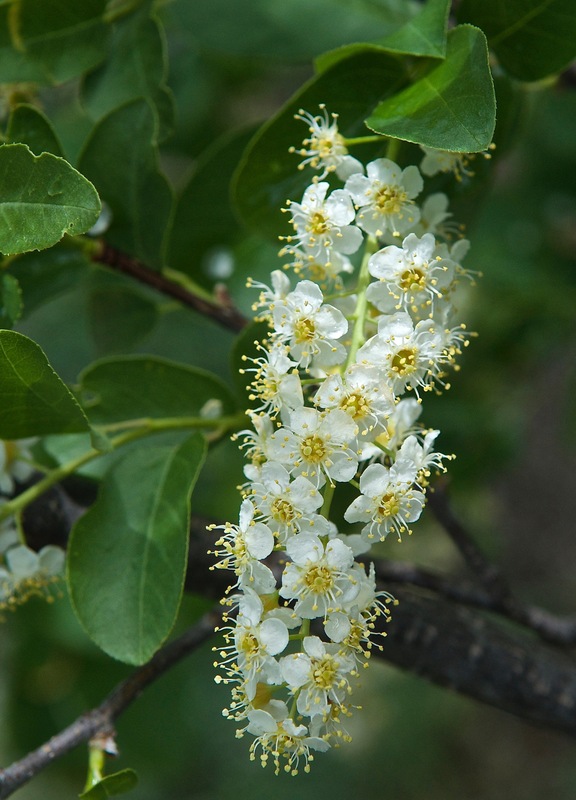 Not all that tasty or dis-tasteful, the chokecherry can be made into jams and pies. The robins love them. 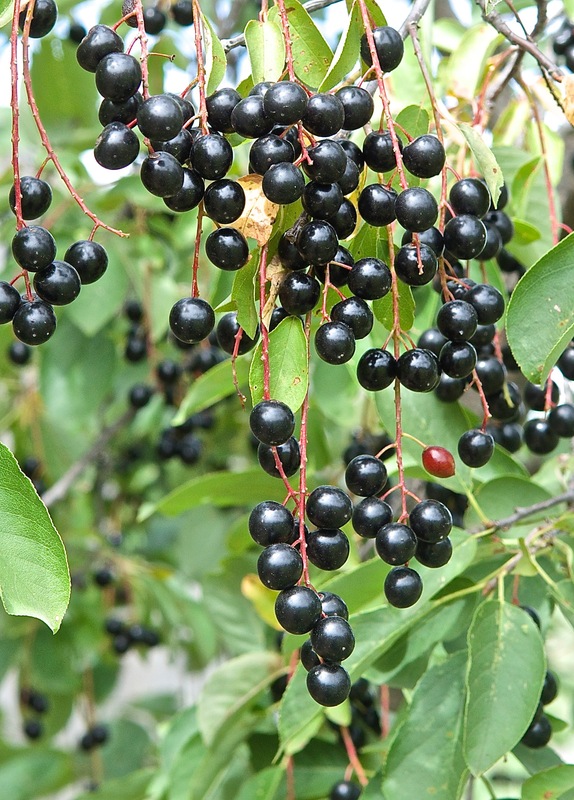 These plants, volunteers, can easily grow anywhere and if pruned make a small tree. 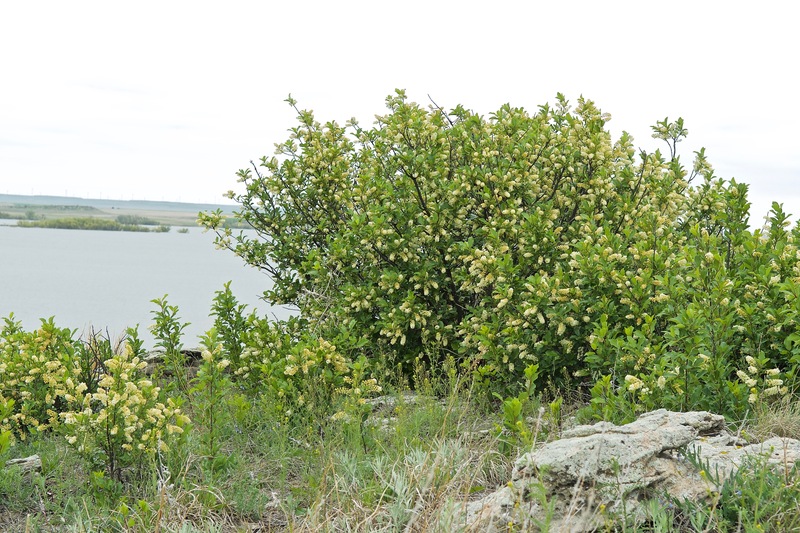 This bush is at Sunset Point in North Sterling State Park.